If my family name is McDonald, will my son be teased if I name him Ronald? If I name my daughter Abbott, will she become a Franciscan friar? If I call my baby boy Elvis, is he more likely to become a musician? Answers: Yes, no, and maybe. It’s that last “maybe” that caught the attention of computer programmers who were creating a baby name app last year. While developing Nametrix, app developers at Verdant Labs began looking at correlations between names and public data about occupations. They found that for many given professions, certain names appear more often in that profession than in the general population. Nevertheless, here are 10 names with a connection to certain professions where the names are disproportionately represented. Elvis. In 1978, one year after 20th-century musical titan Elvis Presley died, the name “Elvis” enjoyed its most popular year, rising to become the 405th-most-popular name for boys born that year. Perhaps that act of paying tribute to a fallen musical great had an impact on his namesakes. Elvis is much more common among musicians than the general population. Thus, while Elvis isn’t the most popular name for musicians, it’s much more common among musicians than expected, given its overall rarity (the name’s now fallen to 1,027 in popularity). Constance. Constance is one of six names found disproportionately among social workers. All six are female names, which shouldn’t be surprising since 80 percent of all social workers in 2010 were women. 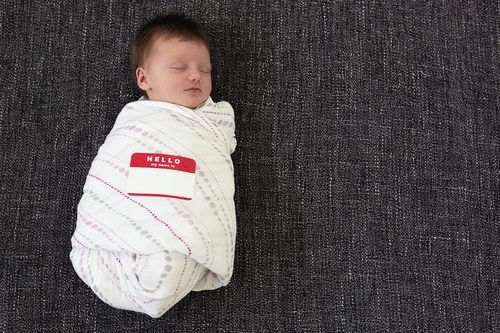 Constance ranks as the 1,901th-most-popular name in the general population. The name is the English translation of the Latin word for “steadfastness,” an apt description for someone committed to helping others. August. If musicians named Elvis felt pressure to live up to the name given the king of rock and roll, at least he’s been dead for decades. Imagine the pressure of having the name August and working as a playwright — a profession where that name is disproportionately represented — and not being August Wilson. Wilson was a towering force in America drama until his death in 2005. The winner of two Pulitzer Prizes, Wilson wrote a 10-work cycle of plays depicting African-American life in the 20th century, completing the final play the year he died. Joanna. Unlike Constance, which was one of six female names dominating one profession, Joanna is the only female name among the six that disproportionately appear among venture capitalists (one other name is actually “Guy”). Maybe if there are enough Joannas working as venture capitalists, they’ll be able to work on the widely reported problem of sexism in Silicon Valley. Sherwin. It’s a fairly rare name today: At 4,189, it ranks just above “Avante” and peaked in popularity in 1935. But Sherwin is one of six names found disproportionately among surgeons. It was Sherwin Nuland, surgeon, Yale professor, and author of the bestselling book How We Die, who launched a national conversation about end-of-life decision making. However, Nuland’s immigrant Russian Jewish parents originally named him Shepsel Ber Nudelman (he changed his name in kindergarten), so he may be skewing the averages for Sherwin. Judy. Judy is another female name that stands with five male names that are all disproportionately represented in a profession: ranching. (For those picturing men on horses, Roy is another of the six names. No studies have been done on the popularity of Trigger as a name for horses.) And like Joanna in venture capitalism, female ranchers haven’t always had it easy. In 2012, the U.S. Department of Agriculture launched a $1.33 billion fund to settle claims that the USDA had discriminatorily denied more than $4.6 billion in loans to female farmers and ranchers from 1981 to 2000. Archibald. Archibald is a rare name that peaked in popularity in 1912 and currently ranks at number 3,377. Nevertheless, it bears a certain gravitas that’s fitting for one of six names found among judges. Archibald Cox, the Watergate special prosecutor whom President Nixon famously fired in 1973, served as President Kennedy’s solicitor general, making him the government’s top advocate before the justices of the Supreme Court. Louisa. Two of the six names disproportionately found among journalists are women’s names, including Louisa, suggesting a degree of greater gender equality among newshounds. Still fairly uncommon at number 1,020 in popularity, Louisa comes from “famous warrior” in German. Louisa Lim may be the most well-known journalist today with that name. Lim was the Shanghai correspondent for NPR and BBC and is the author of The People’s Republic of Amnesia, a history of the 1989 Tiananmen Square uprising. Eugene. One of six names disproportionately represented among electrical engineers, all of them boy’s names, Eugene was once a popular name, peaking at number 20 in 1929. But the name last made the top 100 in 1957, at number 92. In 2013, it stood at number 779, an improvement over its all-time low of 827 in 2011. Zoe. Verdant Labs discovered six names disproportionately represented among photographers, and Zoe is one of them. Although the name has ancient origins — the name is a Greek translation of Eve, meaning “life” — the name has been growing in popularity. It burst into the top 1,000 names in 1983 at number 873, and in 2013, it was number 31. Maybe your family members have names that align with certain professions? Start a free trial with Ancestry to start looking.